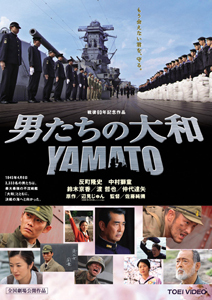 Yu Aoi Film Discussion – Otoko-tachi no Yamato | personal.amy-wong.com - A Blog by Amy Wong. Delay, again~~~ SORRY! xD Yamato took a bit longer to re-watch. I really feel it’s been just sitting… there… ANYWAY! Next up is Honey & Clover, which has also been just sitting there~~~ Promise to try to re-watch sooner. 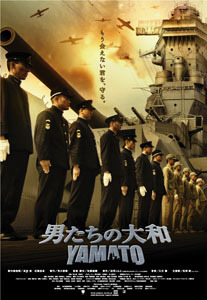 Otoko-tachi no Yamato is a 2005 Japanese war film telling the story of Kamio, a teenage boy who ended up fighting in World War II on board of the biggest Japanese battleship, and its crew who ultimately met its death in battle. Yamato starts off with a brief intro on what Yamato was… the most splendid Japanese battleship of the time, and very historically important. 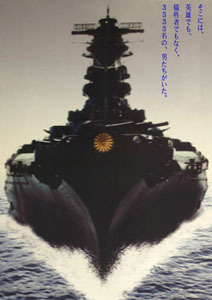 During World War II, it was one of the lead ships alongside another similar vessel (Musashi). The ship never really fired its main guns until October 1944, and even then it was ordered to turn back. ANWYAY! 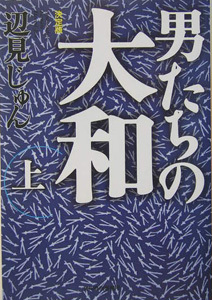 The film focuses round the events leading to Operation Ten-Go on April 7th 1945, all told through flashbacks by 70-ish-year-old Kamio (Tatsuya Nakadai) who owns a small boat, which he commands with the help of Atsushi (Sosuke Ikematsu)… and the visit of Makiko Uchida (Kyoka Suzuki) who wants to visit the coordinates where the Yamato sank, the ship her father had fought for. Makiko tells Kamio that Mamoru Uchida (Shido Nakamura) was her father, to Kamio’s surprise who thought Uchida had died in battle. This unexpected visit brings Kamio memories he had long tried to forget. This is when we get to see 15-ish-year-old Kamio (now played by Kenichi Matsuyama) who has now enlisted to go to war and fight for his country… against the wary feelings of his mom (Kayoko Shiraishi) and long-time friend Taeko (Yu Aoi). Kamio’s father died for his country, and his brother is well on the way. Despite all of that, he decides to leave. 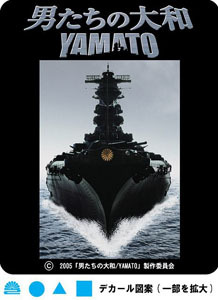 At Yamato’s, we get to meet the crew and all the people that made an impact on Kamio’s life as a young soldier and a new member aboard this ship. 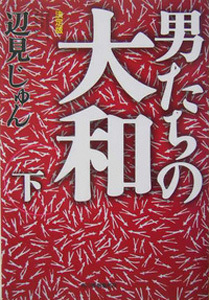 As for Yu as Taeko – Taeko loves Kamio, you could tell… and she says so herself. Kamio’s daft, however! And even tells her how with the death of his brother and mother, he is now alone – NOT! – How about Taeko! She gets mad, but lets it go because there really isn’t much time to be mad at one another. Kamio is about to leave, so she makes him a special Omamori (oh those damn Omamoris xD), and tells him she’s going to Hiroshima (le gasp! Don’t go!!). Yu is particularly cute on scenes, or crying a river… she’s a good crier, but the percentage of crying was too much compared to the number of scenes she had. Anyway! A lot of names on this one~~ Sosuke Ikematsu played the young version of Yoritomo on Yoshitsune where Kayoko Shiraishi played Otoku. Kimiko Yo also appears!! She’s on Osen, as well as Atsu-Hime alongside Takahata Atsuko who played Atsu’s mother-in-law. Kenichi Matsuyama ended up being Yu’s love interest once again on Don’t Laugh at my Romance, which I will be reviewing in the nearer future… and, and Shido Nakamura was on Honey & Clover with Yu. Some posters and covers, and LOTS of screencaps. … and honestly Shido Nakamura is overacting again. Some good scenes though but as you said Eastwood’s Letters from Iwo Jima is a much better war film in portraying the cruelty of war and at the same time the humanity and compassion that can be found even in the souls of the soldiers or officers of the Showa Imperial Army. I watched Iwo Jima last night again, *woosh* great film, and totally missed out on a Best Picture, as well as some acting recognition.